Torrential rains and landslides hit Pittoragarh and Chamoli districts of Uttarakhand Friday morning. 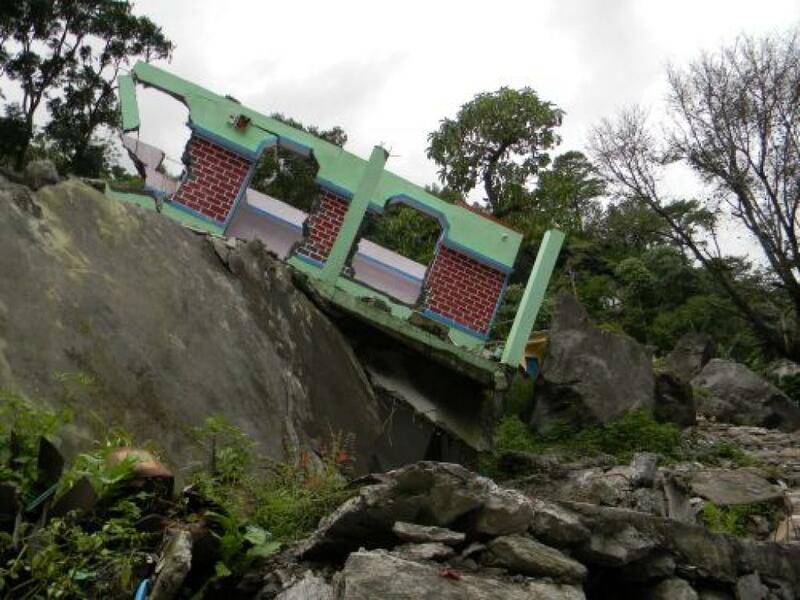 Several homes in remote villages have been buried by the landslides. The death toll has reached 30 and several people are missing. About 100 mm of rains were the result of a massive cloudburst. Worst affected villages are Singhali, Patthakot, Ogla and Thal. All the major rivers in the region have swollen following the heavy rains, while the Mandakini and the Alaknanda have crossed their danger marks. The National Disaster Response Force has announced the deployment of two teams at the affected districts for relief and rescue operations. The teams have also been hampered by rains and landslides in the Devprayag stretch of the Rishikesh-Badrinath National Highway NH-58. The India Meteorological Department had earlier this week predicted heavy rains over Uttarakhand and has issued a warning of heavy to very heavy rains in isolated places over the next 72 hours for the districts of Nainital, Champawat, Tehri, Pauri, Champawat, Udhamsingh Nagar, Haridwar, Uttarkashi and Dehradun. An orange code alert has been issued for Saturday to warn of a possible continuation of the heavy rains in the state. Tweets from the Prime Minister’s Office and the Home Minister have expressed grief over the incident. Uttarakhand Chief Minister Harish Rawat, in an initial statement on the sidelines of his official visit to New Delhi, has announced an immediate compensation of Rs 2 lakh for the kin of the victims.